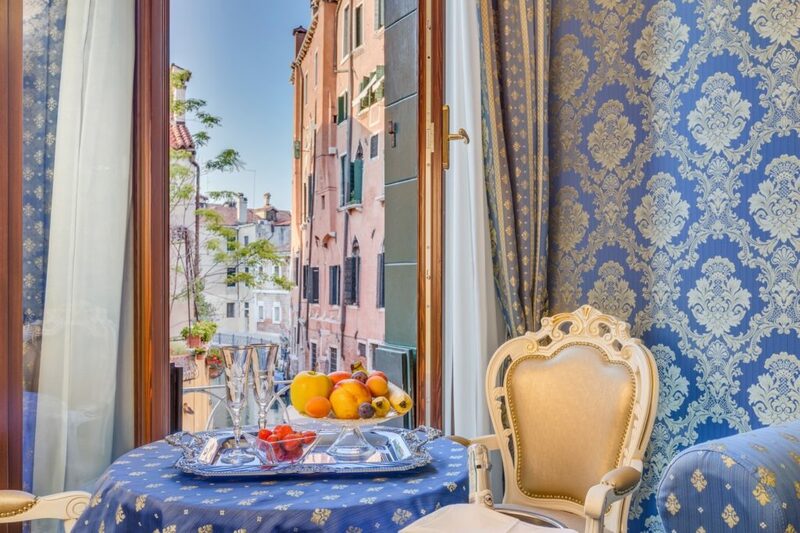 The 16 m² Double Superior Room (for 2 people) overlooks a private venetian courtyard . 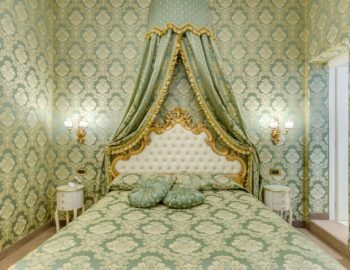 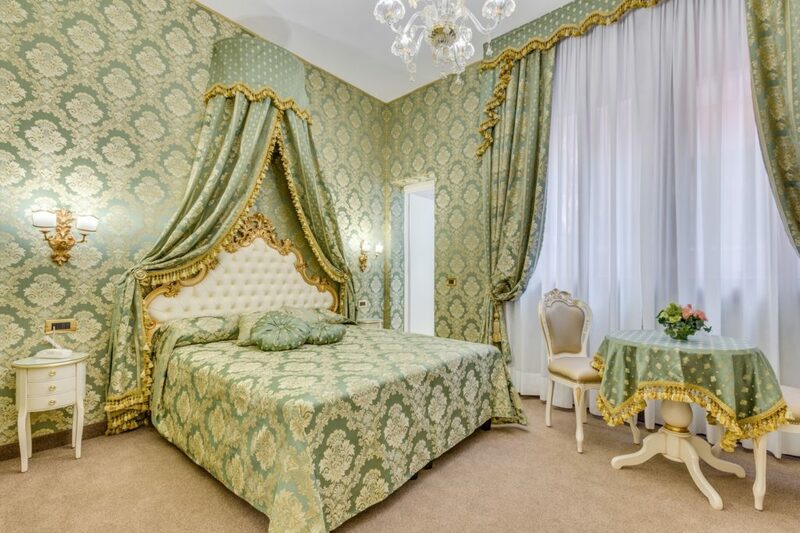 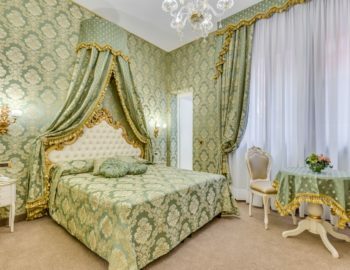 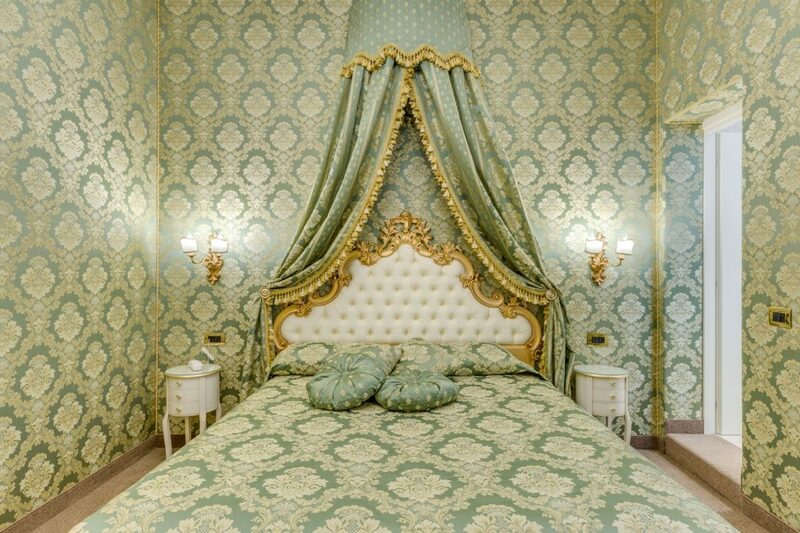 The room features elegant green tapestries and curtains, classic furniture with Murano chandeliers and a private bathroom with shower. 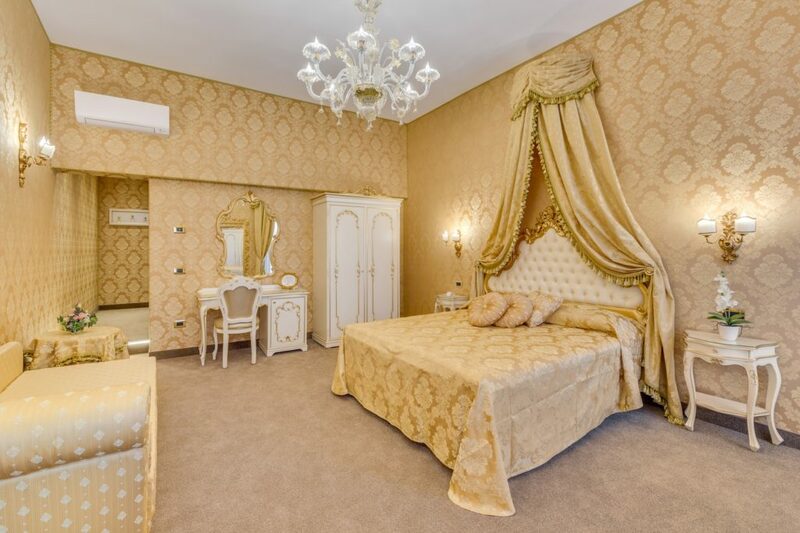 This room is available with a double bed or two twin beds. 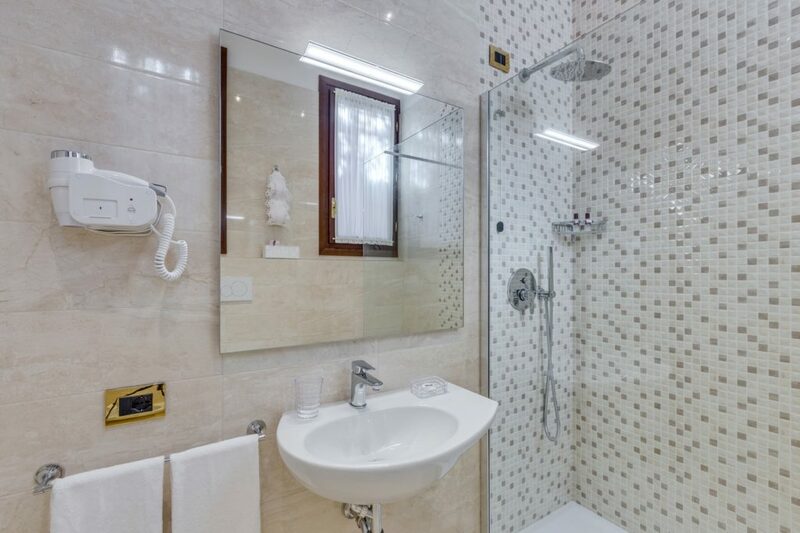 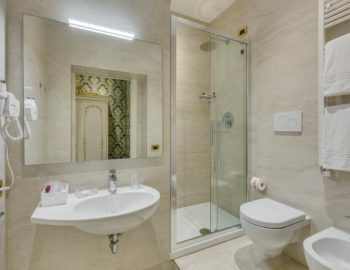 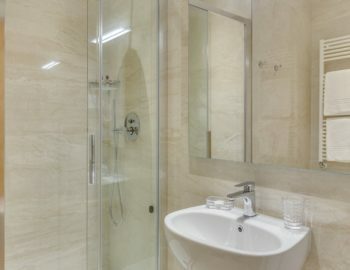 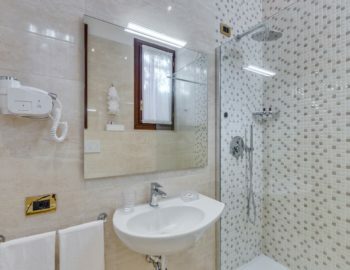 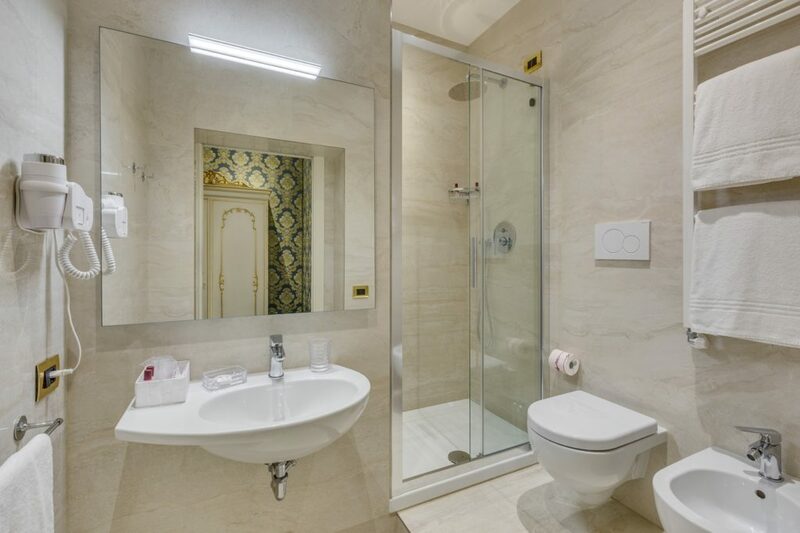 Equipment of Room: flat sat tv, hair dryer, minibar, complimentary toiletries, air conditioning and heating individually controlled, free wi-fi access, safety box, no smoking rooms. 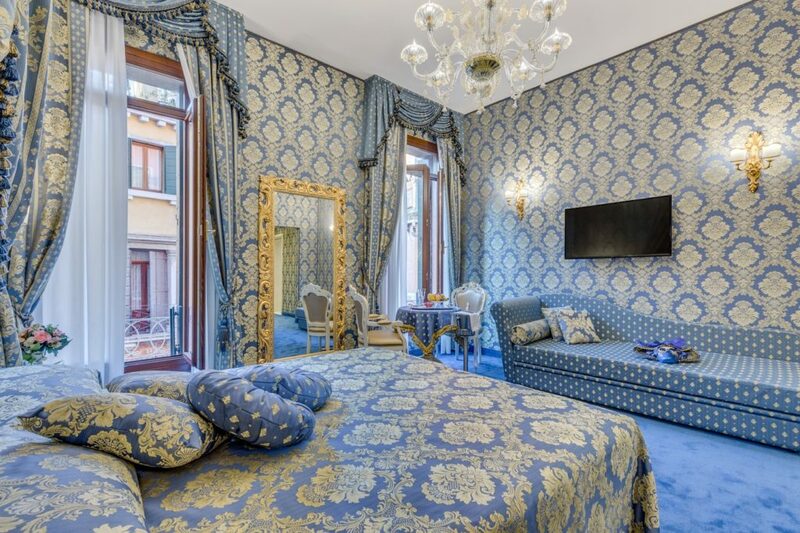 The 30 m² Triple Superior Room (for 2 or 3 people) overlooks a beautiful Venetian canal. 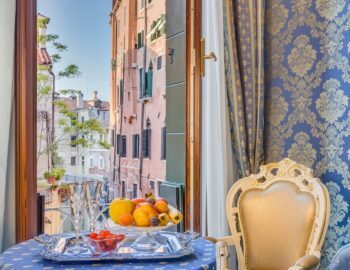 From the two large windows, you can enjoy gondolas passing by all day. 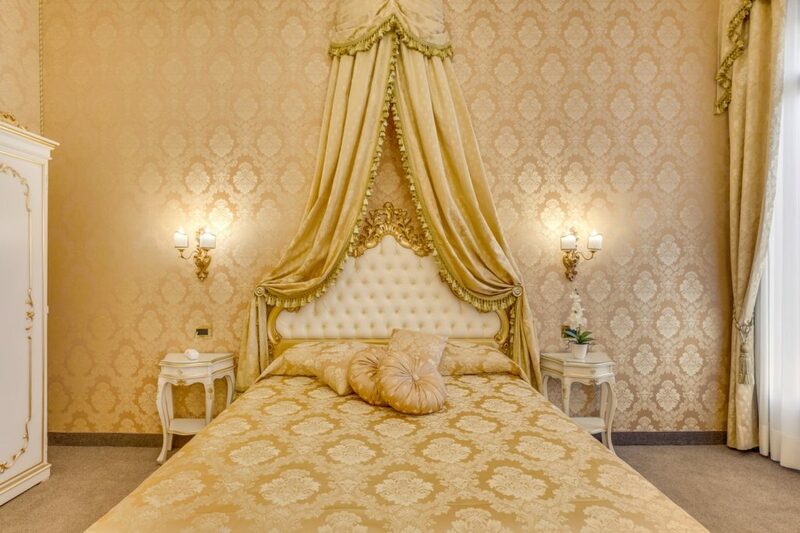 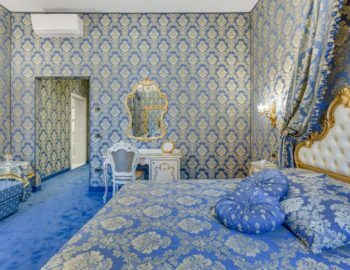 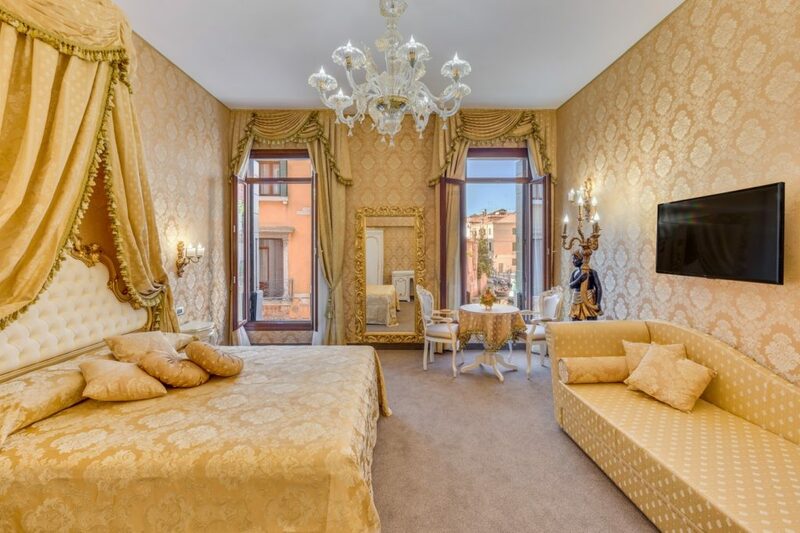 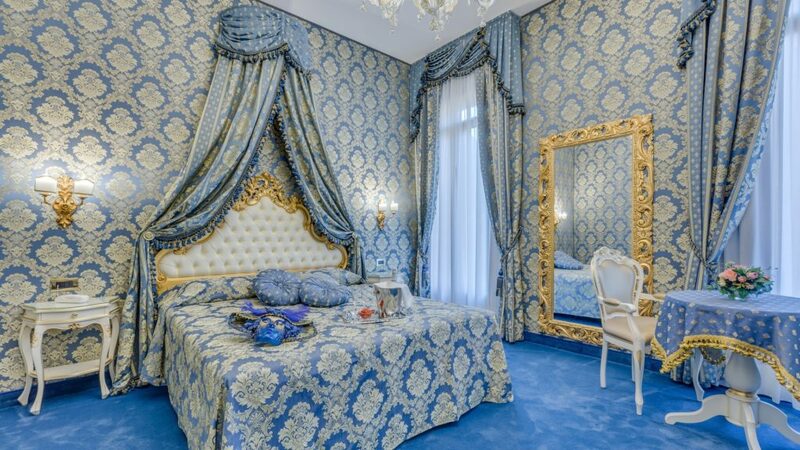 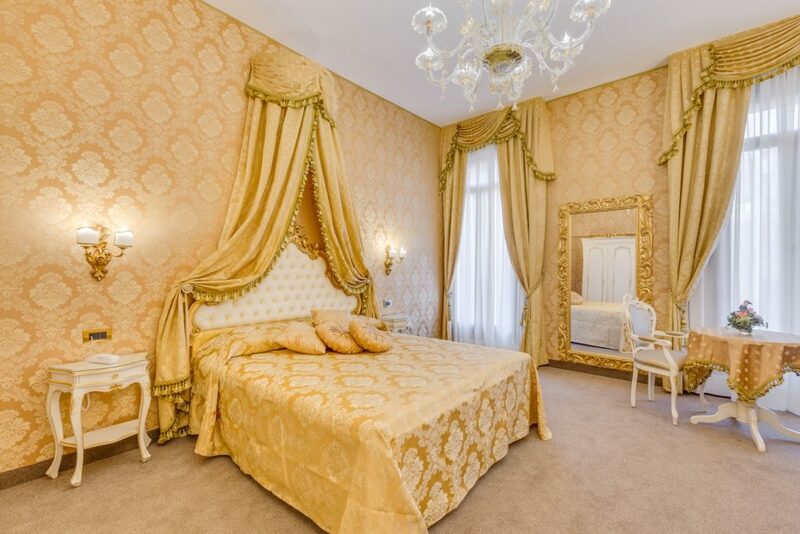 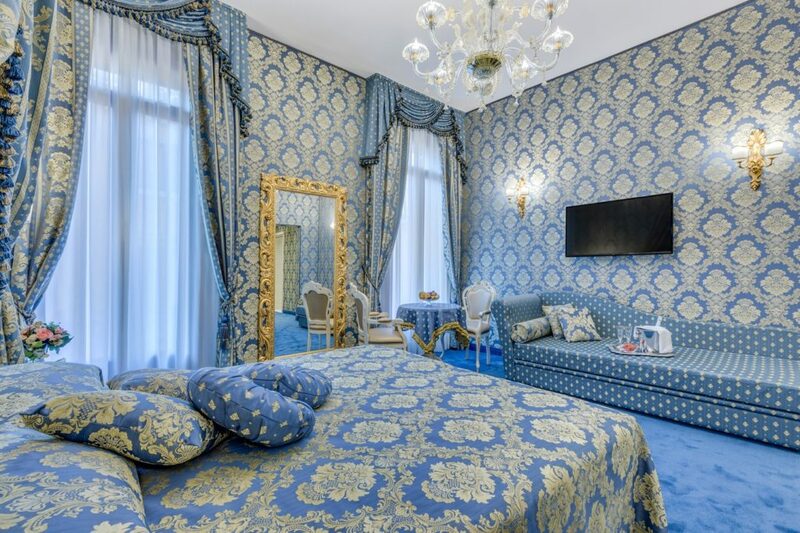 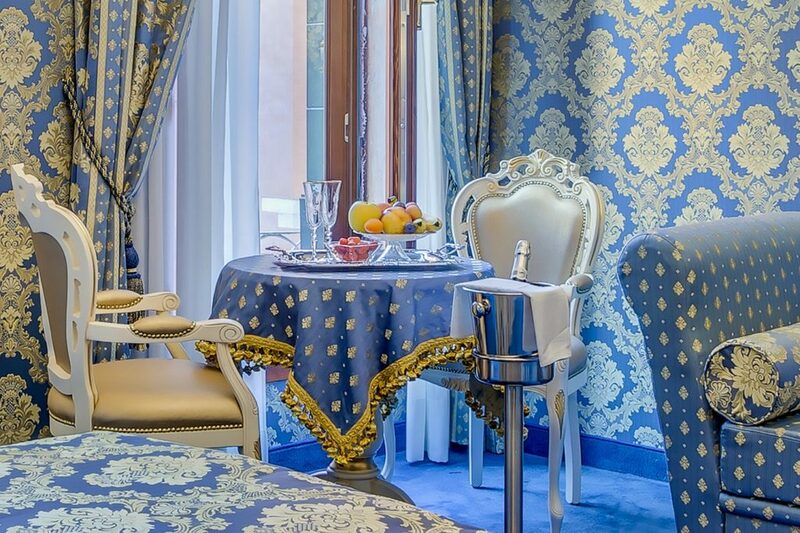 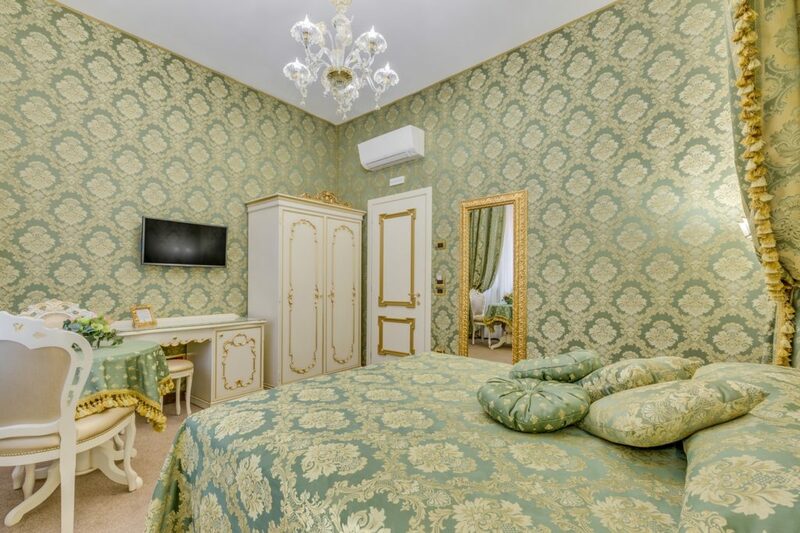 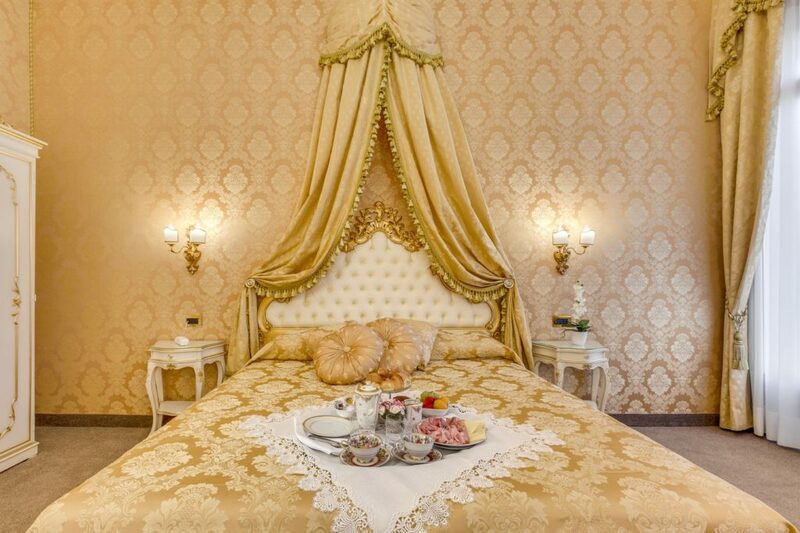 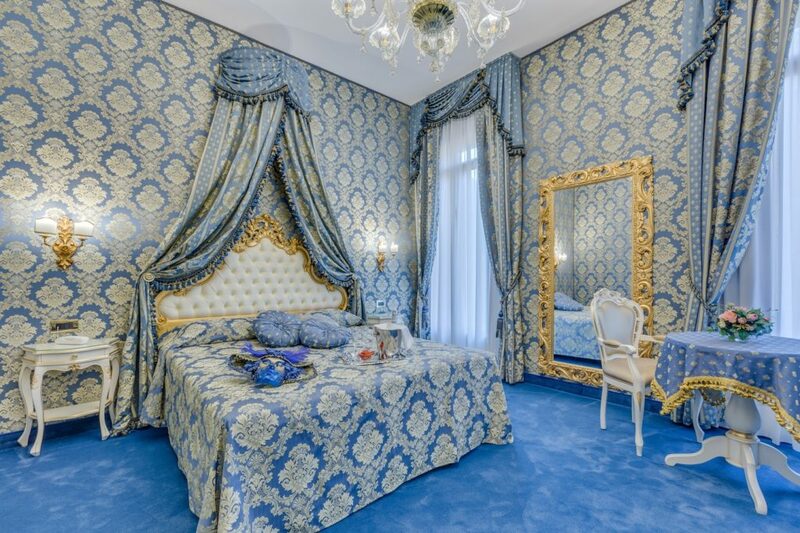 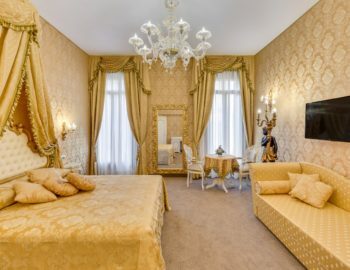 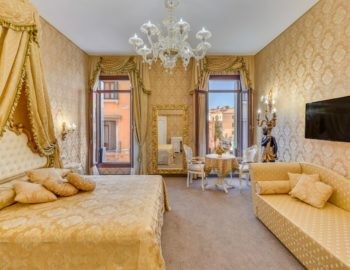 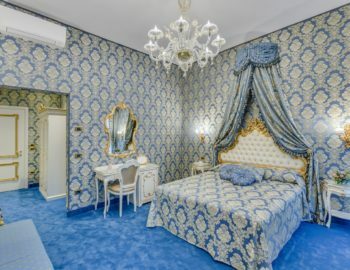 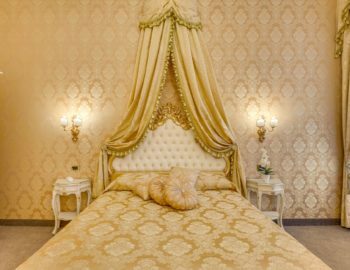 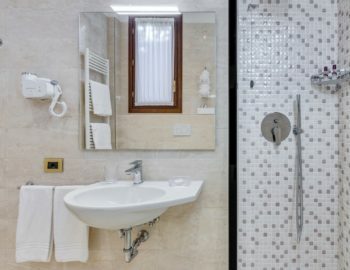 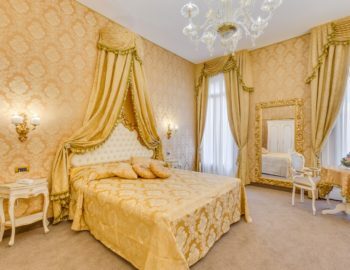 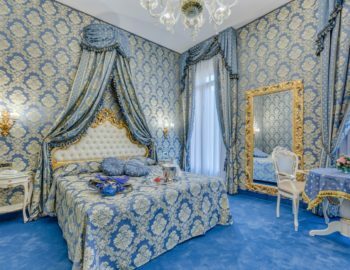 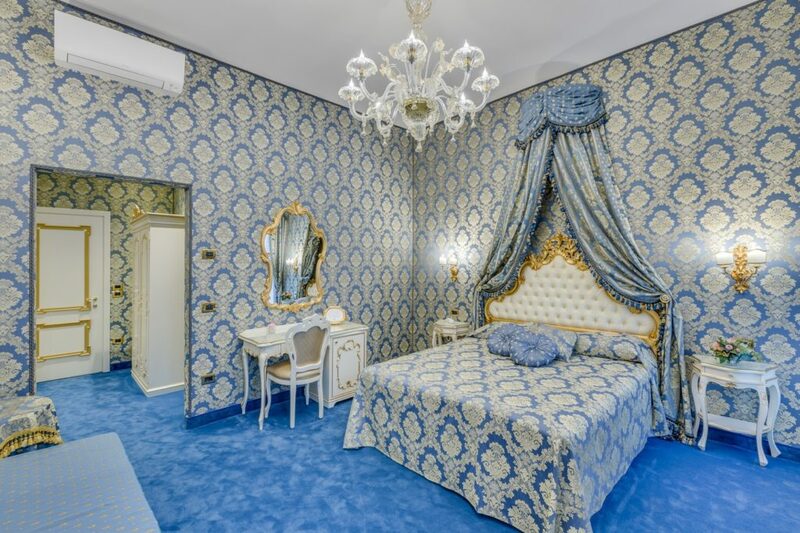 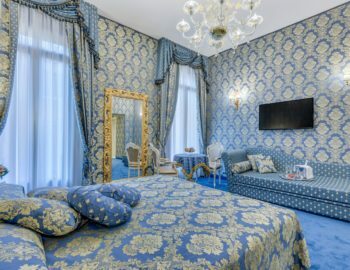 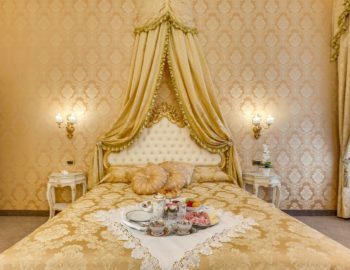 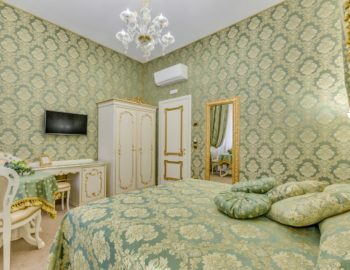 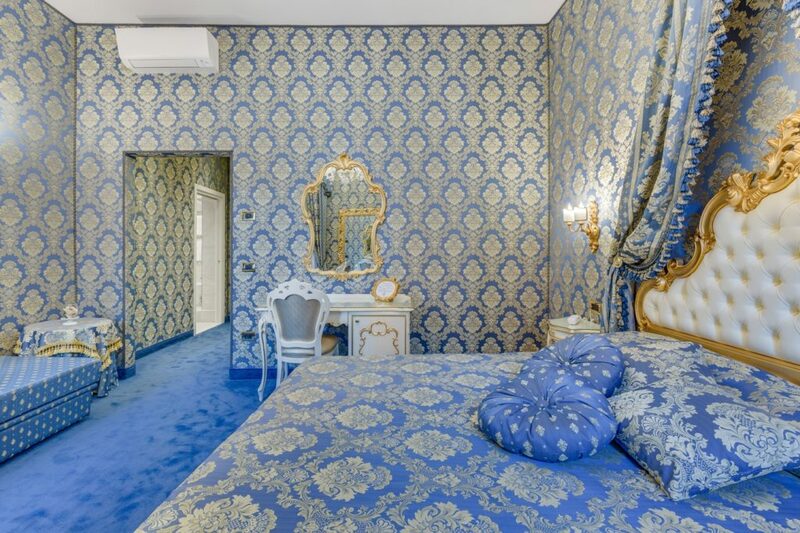 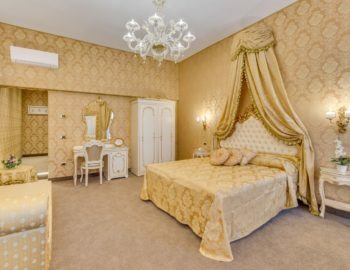 The elegant decoration is composed of classic furniture with Murano chandeliers, blue and gold tapestries and curtains and a private bathroom with a shower. 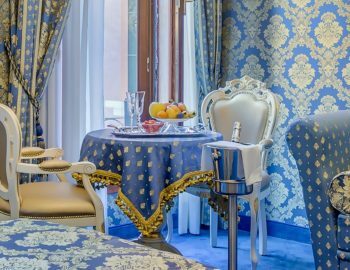 The decoration and atmosphere of the room will transport you back to the Venetian 18th century with all the modern comforts. 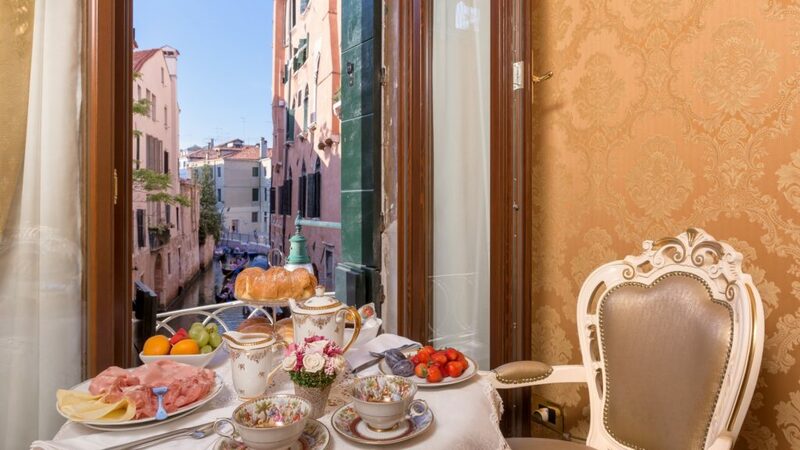 You will start your day with an excellent italian breakast delivered to your room with a gorgeous canal view. 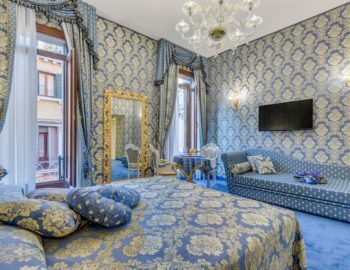 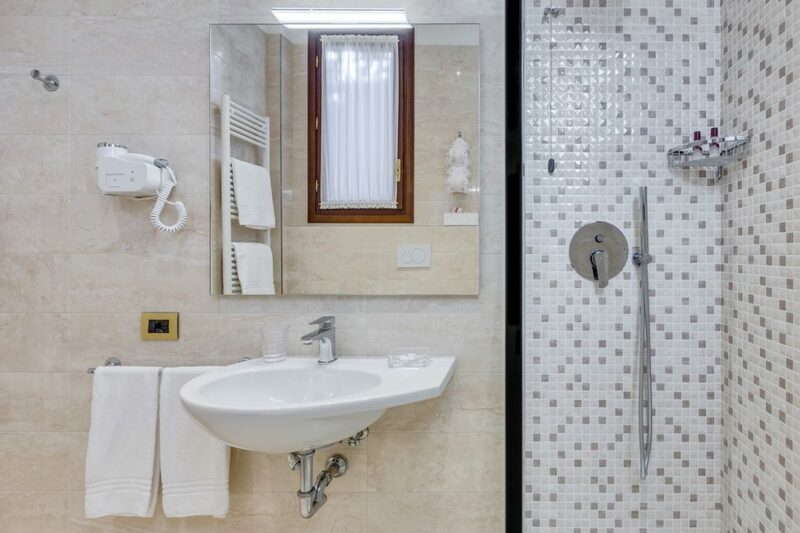 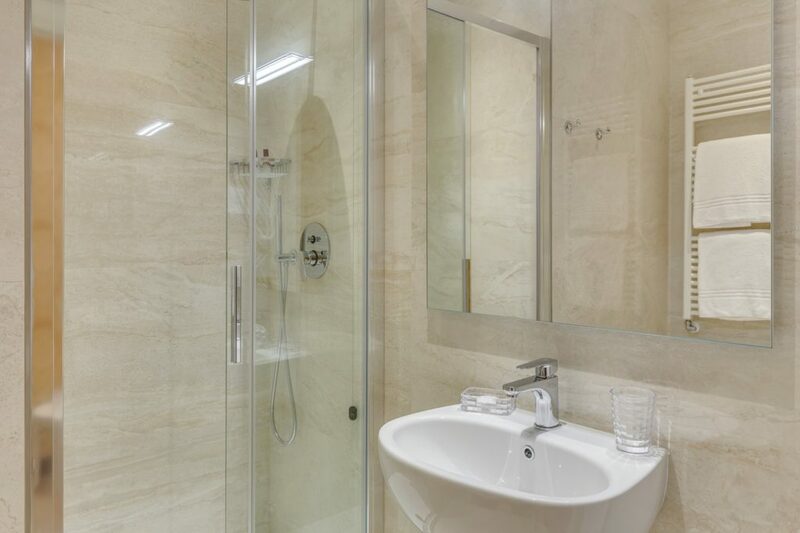 The 28 m² Triple Superior Room (for 2 or people) overlooks a beautiful Venetian canal. 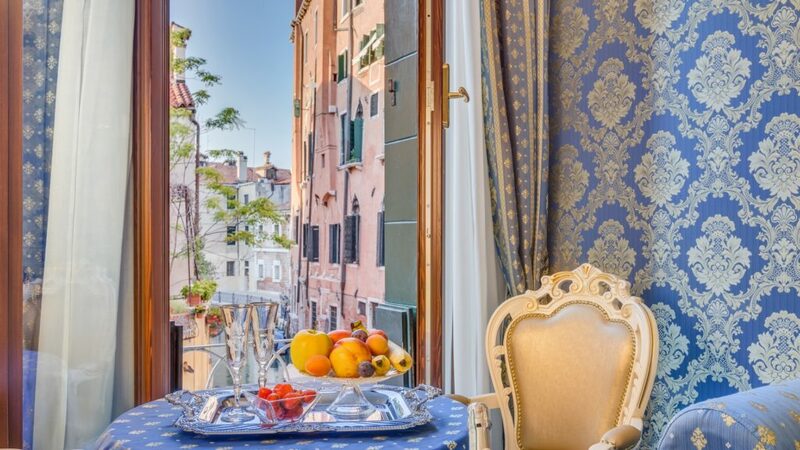 From the two large windows, you can enjoy gondolas passing by all day. 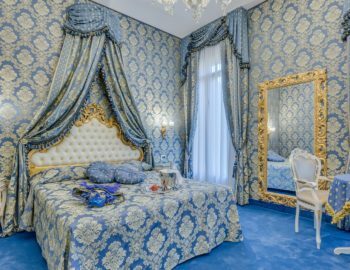 The elegant decoration is composed of classic furniture with Murano chandeliers, blue and gold tapestries and curtains and a private bathroom with a shower. 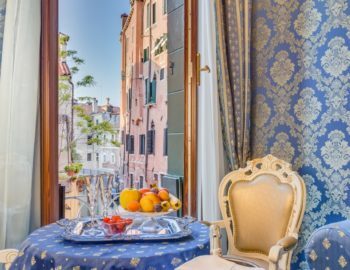 The decoration and atmosphere of the room will transport you back to the Venetian 18th century with all the modern comforts. 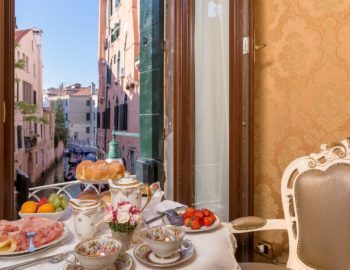 You will start your day with an excellent italian breakast delivered to your room with a gorgeous canal view.